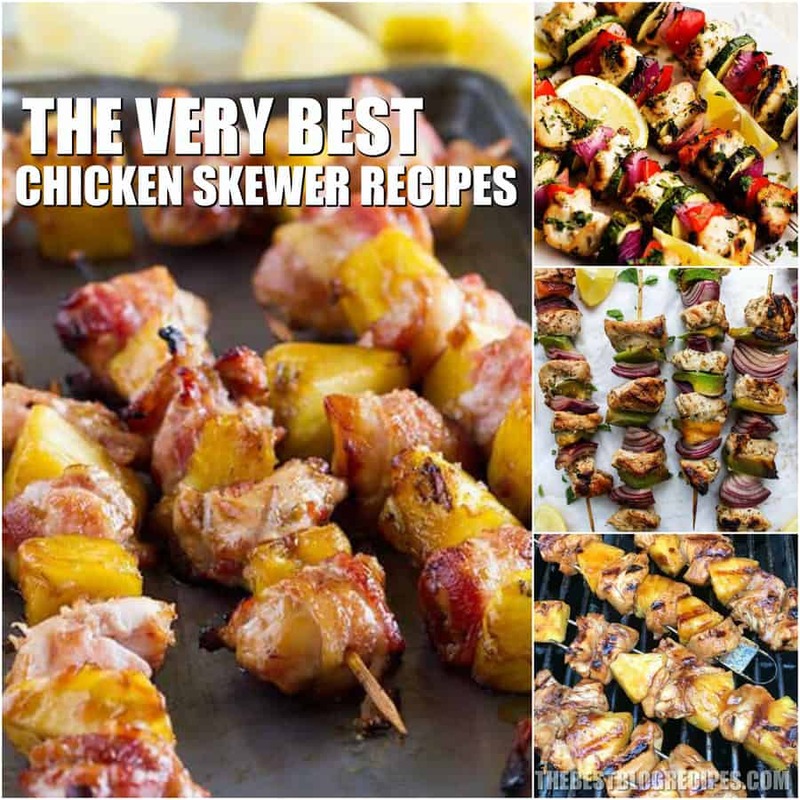 Easy Chicken Skewer Recipes are going to be your new favorite recipes for entertaining. There is nothing quite like the flavor and simplicity of these tasty chicken recipes. 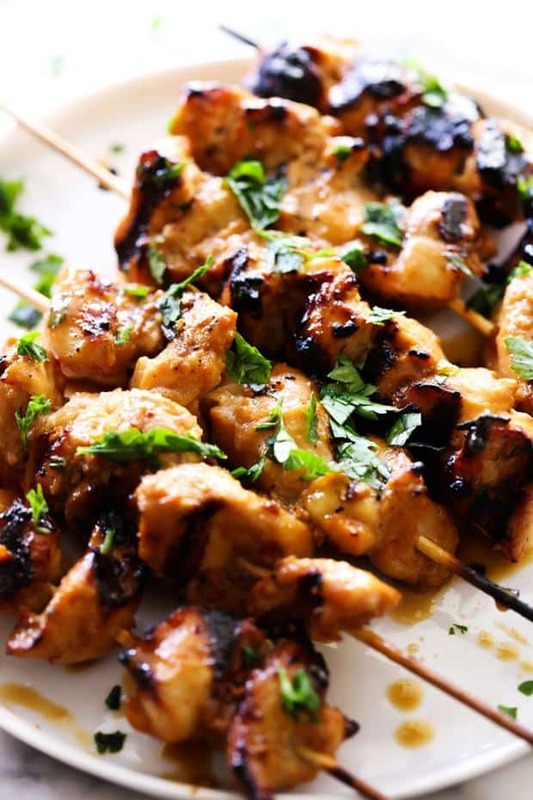 I love an amazing kabob recipe, and these chicken skewer recipe are some of the best of the best. You are not going to be able to stop after just one. It is still the time of year for Summer BBQs and trust me when I say that you are going to need to make these at your next Summer bash! Easy Chicken Skewer Recipes range from savory, to sweet, to Asian inspired. No matter which type of recipe you decide to make first, you are going to be making all of the rest anyway. With so many different types of delicious recipes included in this list, you are going to want to try them all! 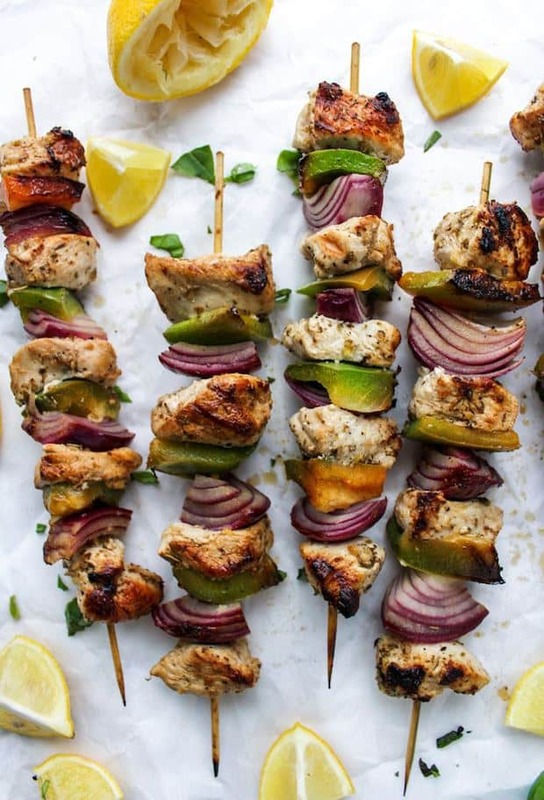 Get ready to be shocked at how easy these Chicken Skewer Recipes actually are to make. The recipes in this list are as easy as cutting up chicken and vegetables, skewering them, and putting them on the grill. Honestly, these are recipes that would be super fun to have kids help you with. I know my little ones think it is a blast to spike the meat and veggies. Another thing that I love about Easy Chicken Skewer Recipes is that they are extremely hard to mess up. The only way that these recipes could possibly go wrong is if they get burnt to an absolute crisp on the grill. I have a feeling that wont happen. 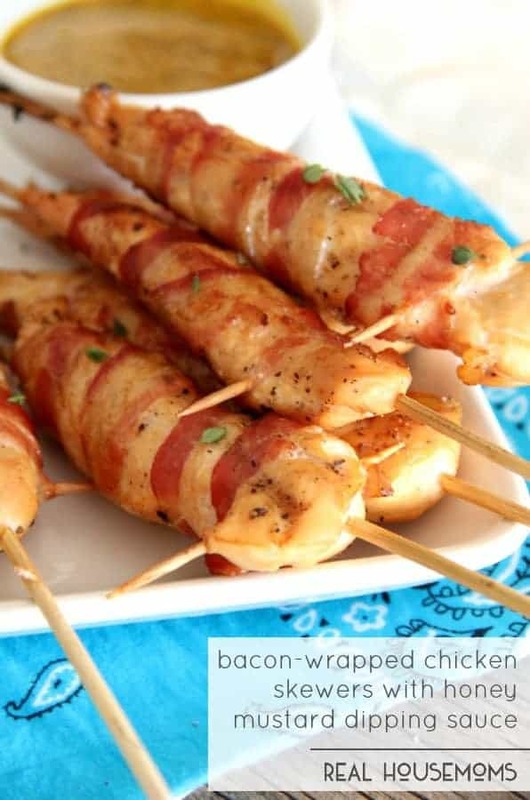 From Real Housemoms :: Click HERE for the RECIPE Everything is better with bacon, especially these BACON-WRAPPED CHICKEN SKEWERS WITH HONEY MUSTARD DIPPING SAUCE! These have become a keto staple in my menu! 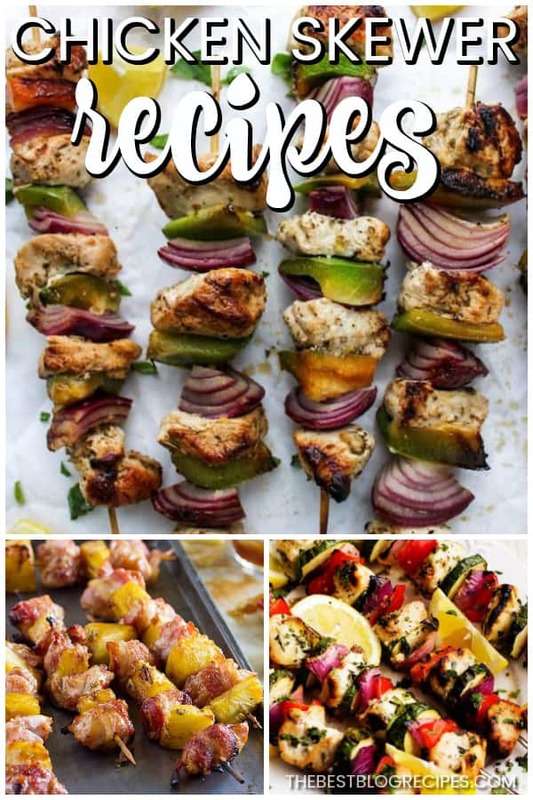 From A Saucy Kitchen :: Click HERE for the RECIPE Greek inspired Lemon Chicken Kebabs made on the stove top! 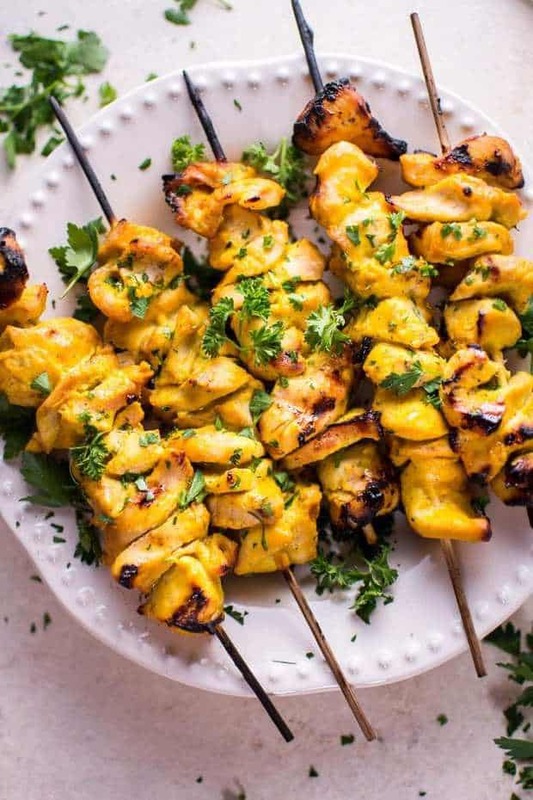 From Salt an Lavender :: Click HERE for the RECIPE These grilled honey mustard chicken skewers are sure to become a family BBQ favorite this summer! The 3-ingredient marinade is super easy and tastes amazing. 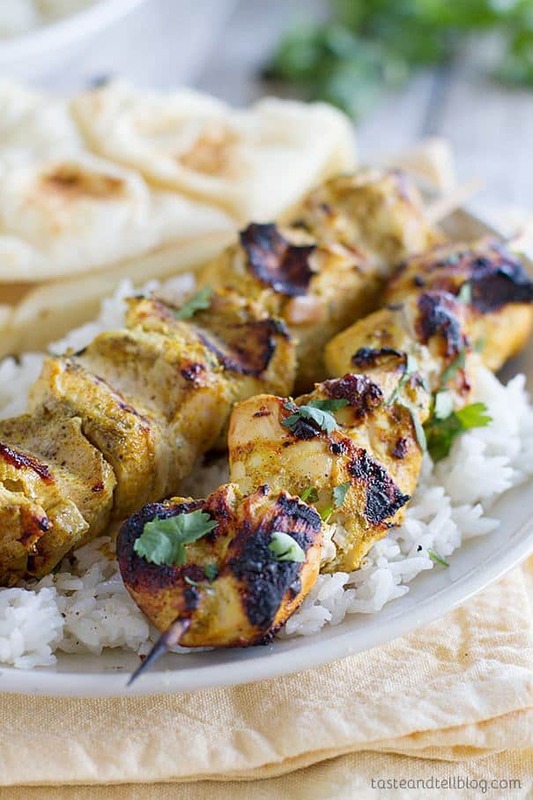 From The Recipe Critic :: Click HERE for the RECIPE Fresh lemon, herbs, and garlic come together in this fast and flavorful marinade. Complemented with fresh and bright summer veggies in this amazing meal that is under 400 calories! 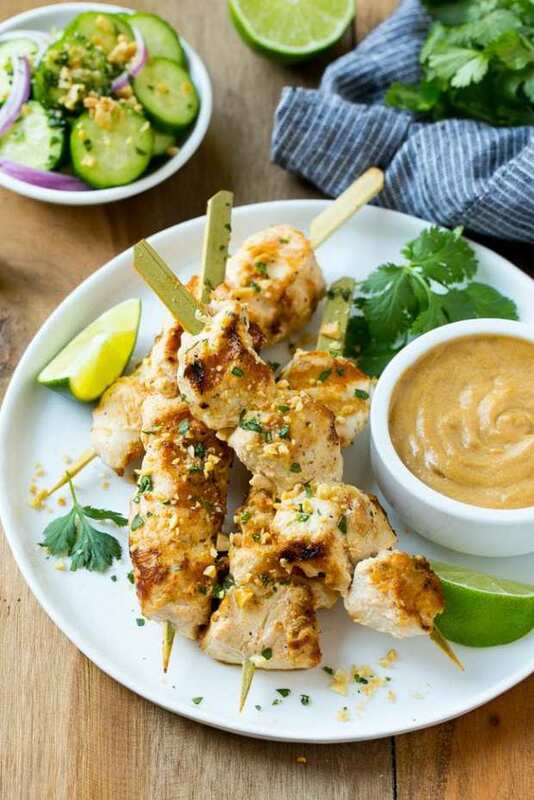 From The Recipe Critic :: Click HERE for the RECIPE Thai Chicken Skewers are marinated in coconut milk, curry and spices and grilled to perfection. It’s a quick and easy meal. that’s packed full of flavor! 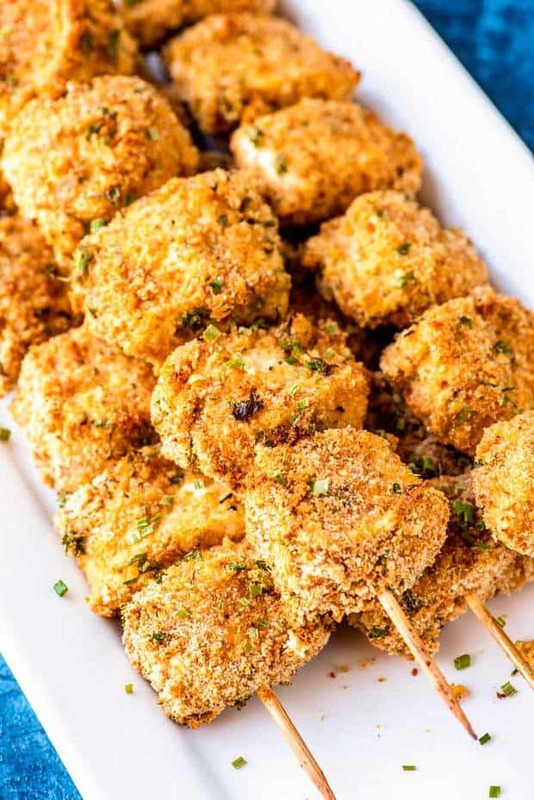 From Homemade Hooplah :: Click HERE for the RECIPE These tender and tasty Dijon chicken skewers are family-friendly and perfect for a big party or a quick weeknight dinner. With no need to marinade and being baked in the oven, these skewers come together in less than 30 minutes. 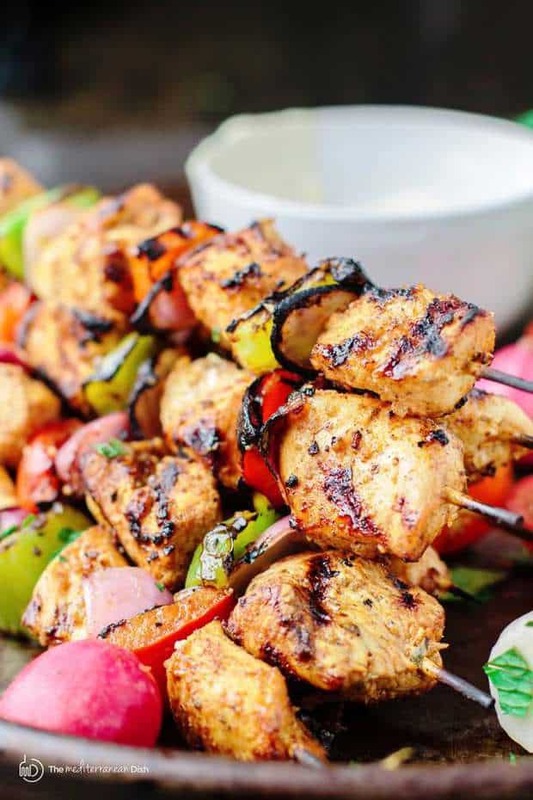 From Taste and Tell :: Click HERE for the RECIPE These grilled chicken skewers are filled with lots of Indian flavors for a great meal filled with spice! From Chef in Training :: Click HERE for the RECIPE Korean Chicken Skewers make for an easy and tasty meal. 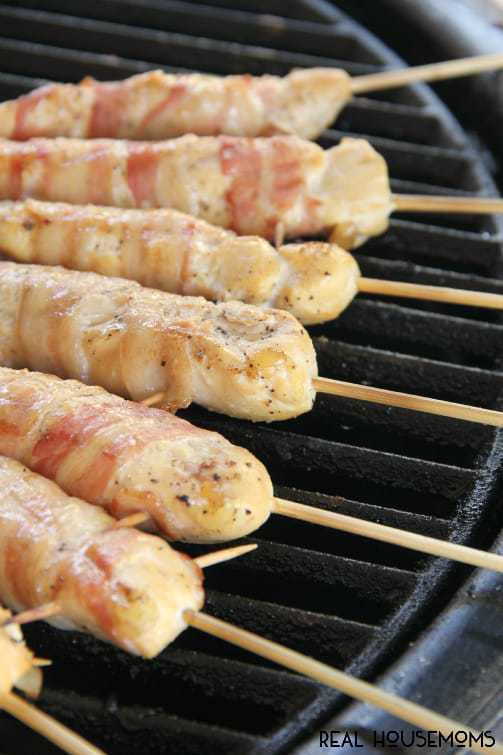 From Taste and Tell :: Click HERE for the RECIPE Bacon wrapped chicken thighs and chunks of pineapple are marinated in teriyaki sauce in these easy Bacon Wrapped Teriyaki Chicken Skewers. They make the perfect grilling dinner! 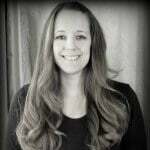 From A Southern Soul :: Click HERE for the RECIPE There’s just something special about grilled foods. 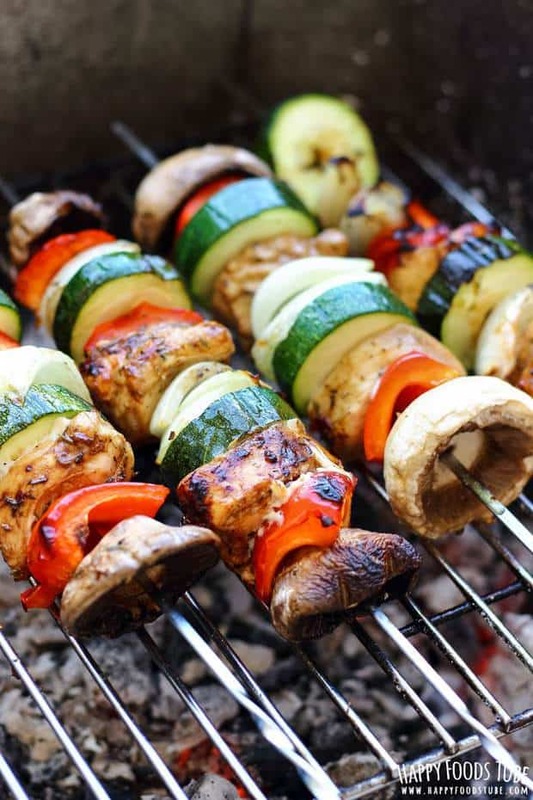 Whether it’s meats, veggies or fruit, the smokey flavor that grilling brings always adds extra flavor. 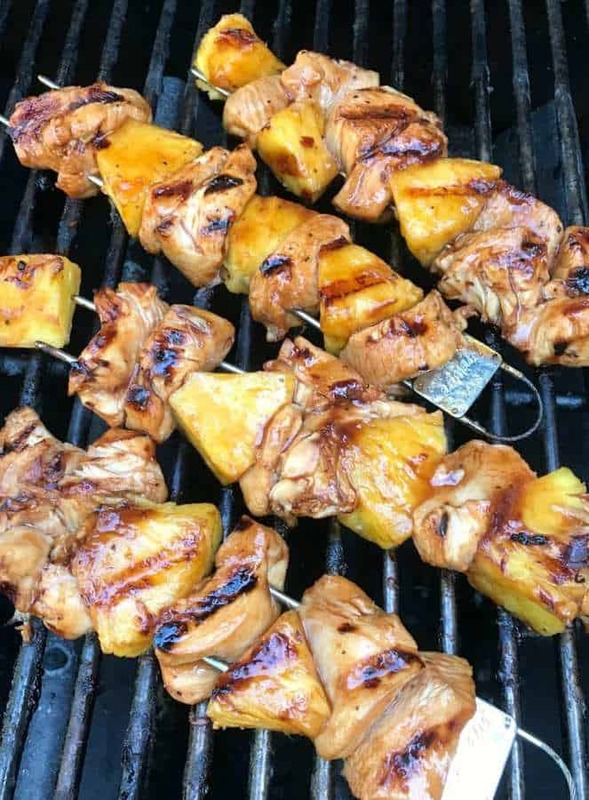 This past weekend, I fired up the grilled and tried out a new recipe – marinated chicken and pineapple skewers. 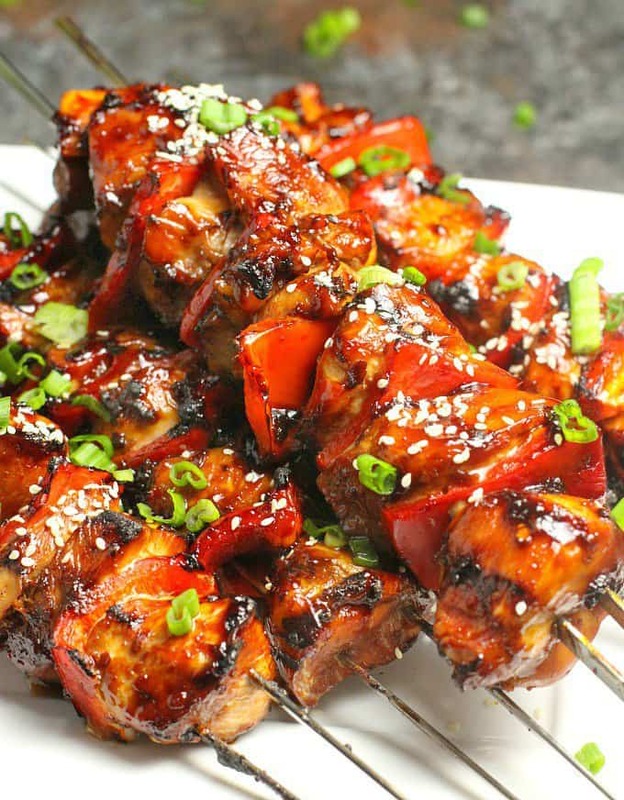 From The Recipe Critic :: Click HERE for the RECIPE Grilled Hawaiian Teriyaki Chicken Skewers marinate in the very best homemade hawaiian teriyaki sauce! Loaded with peppers, fresh pineapple and red onions, these make an incredible and vibrant meal! 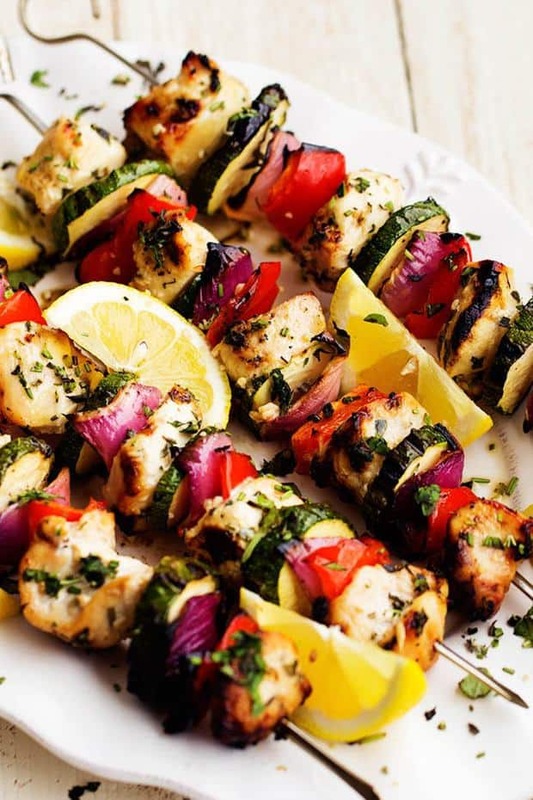 From Delicious Meets Healthy :: Click HERE for the RECIPE These Grilled Mediterranean Chicken Kebabs are full of flavor, and so easy to make either on the grill or in the oven. Chicken and fresh summer vegetables are marinated in a light Mediterranean-style marinade of lemon juice, olive oil, garlic, and spices, then grilled on skewers until golden brown. Delicious and healthy summer meal. 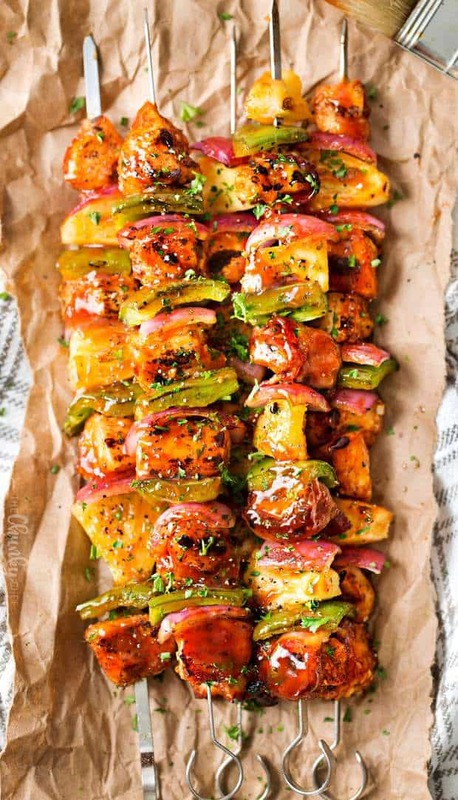 From Happy Foods Tube :: Click HERE for the RECIPE These balsamic chicken skewers are one of the must try grilling recipes before the summer is over! Balsamic marinade makes the chicken extra juicy & adds great flavor! From A Dish of Daily Life :: Click HERE for the RECIPE Quick and simple marinade doubles as a BBQ sauce. Brining chicken first also makes for flavorful and easy grilling recipe! 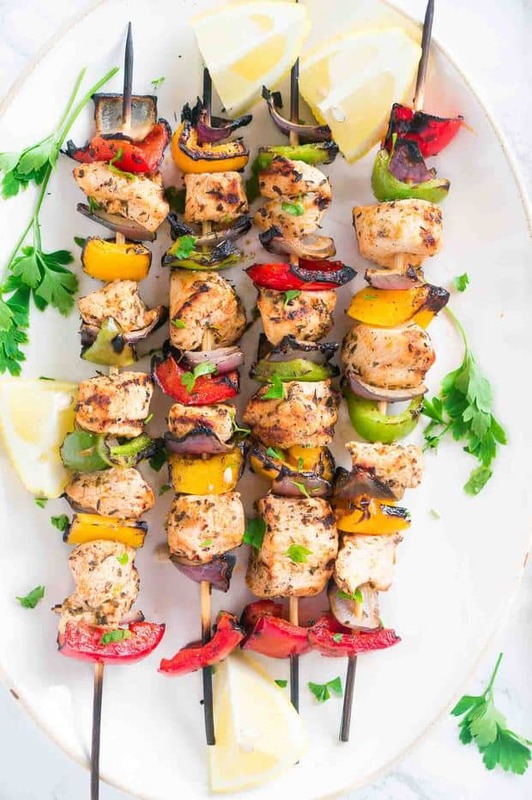 From The Mediterranean Dish :: Click HERE for the RECIPE My go-to Mediterranean Grilled Chicken Kabobs…Let’s just say, these easy, flavor-packed kabobs will quickly win your heart. 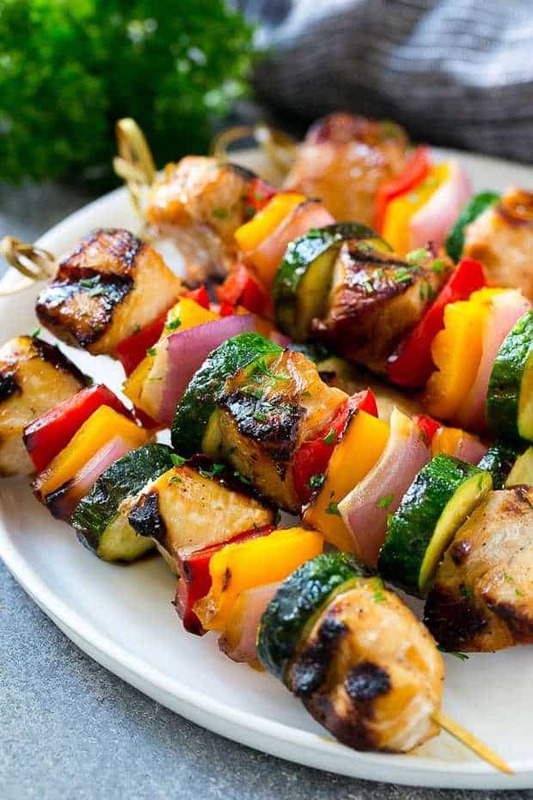 From Dinner At The Zoo :: Click HERE for the RECIPE These grilled chicken kabobs are made with marinated chicken and colorful vegetables, all threaded onto skewers and cooked to perfection. An easy dinner that can also be baked in the oven! 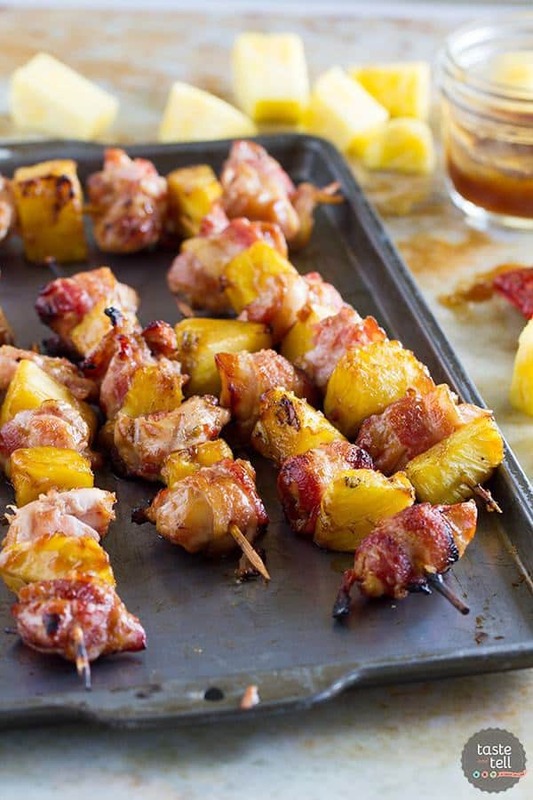 From Butter With A Side Of Bread :: Click HERE for the RECIPE BBQ Chicken Kabobs with Bacon and Pineapple recipe with tender chicken grilled with pineapple and bacon then slathered with your favorite BBQ sauce. 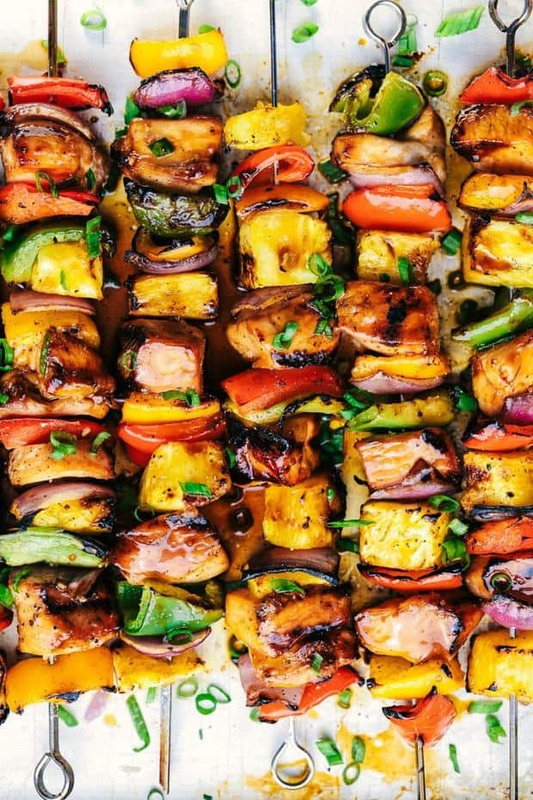 These are the ultimate BBQ chicken kabobs and are perfect for your next cookout! From The Chunky Chef :: Click HERE for the RECIPE Spiced chicken, peppers, onions and bacon are skewered, basted with the tastiest bbq sauce, and grilled to perfection! Best chicken kabobs ever! 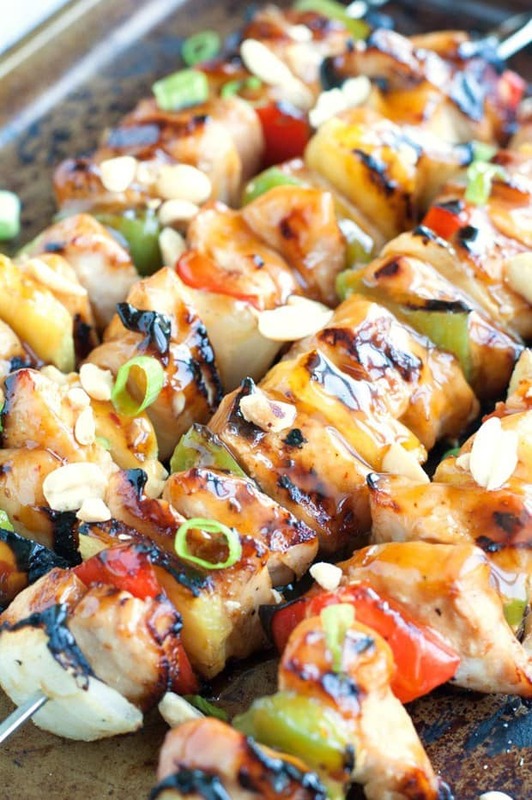 From Food Lovin Family :: Click HERE for the RECIPE Kung Pao Chicken Skewers filled with chicken, peppers, onions and pineapple coated in kung pao sauce – asian cuisin made simple. Thank you for including my grilled chicken & pineapple skewer recipe! You’ve made my day.